You are here: Home / Insights / Research: What do you Know About Fireworks? Research: What do you Know About Fireworks? 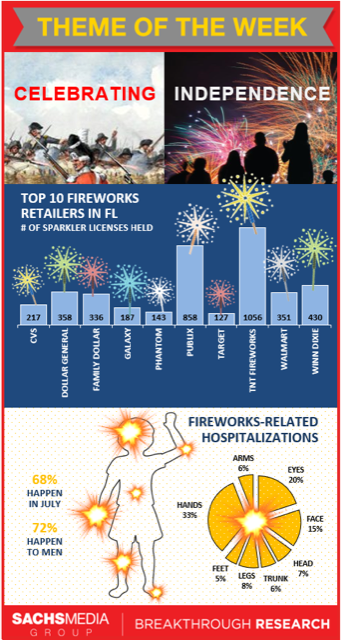 Research infographic describing the top 10 fireworks retailers in Florida, with TNT Fireworks coming in first place. The bottom diagram depicts the number of fireworks-related hospitalizations broken down by month, gender, and body part.